Bigfanboy.com is offering you a chance to win some cool items from the new Univeral Studios film IDENTITY THIEF. We have two different colors of T-shirts to giveaway and a grand prize winner will win both T-shirts and an IDENTITY THIEF track jacket. NO PURCHASE NECESSARY. Limit one entry per person. Please include your mailing address with your entry. Remember, one entry per person per household – do not send entries from multiple e-mail addresses. Contest is open to U.S. residents only, entries must be received no later than February 18, 2013. 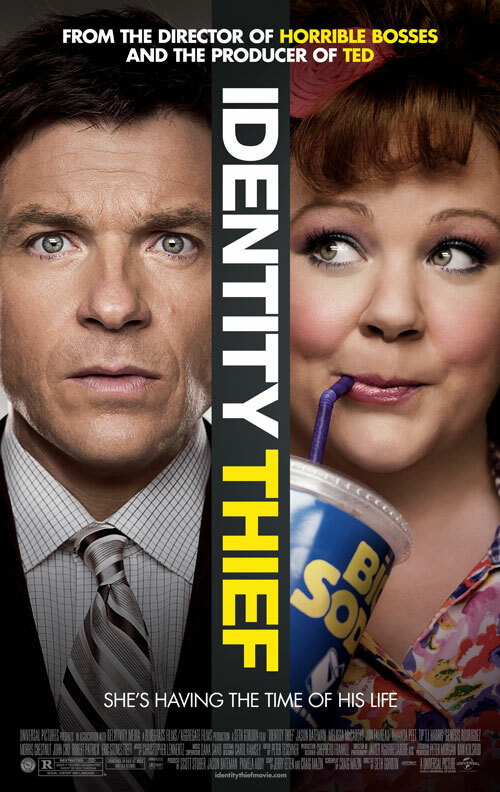 FROM THE DIRECTOR OF “HORRIBLE BOSSES” AND THE PRODUCER OF “TED.” UNIVERSAL PICTURES PRESENTS JASON BATEMAN AND MELISSA MCCARTHY IN THE HILARIOUS NEW COMEDY, “IDENTITY THIEF.” SHE’S HAVING THE TIME… OF HIS LIFE. RATED R. IN THEATERS FEBRUARY 8.